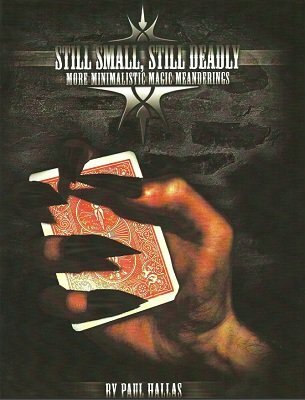 The sequel to Small But Deadly and a continuing exploration of packet tricks, their creators and the evolution of plots and methods, discussion and analysis of effects plus routines to add to your repertoires. If you loved the first book, then you'll love this one too. Over 180 large 8.5 x 11 inch, information packed pages. Foreword by Art Emerson. Bonus trivia, the ebook also includes Paul's original cover design which was eventually not used for the print edition. "Highly recommended!" - Paul A. Lelekis, The Linking Ring magazine. "There is gold in here people, just dig for it! Don't be a Johnny come lately as I was with Paul's first offering" - Dom Kebala, The Magic Café. 1st edition 2010. 1st digital edition 2013, 184 pages. Exactly What Is a Packet Trick?